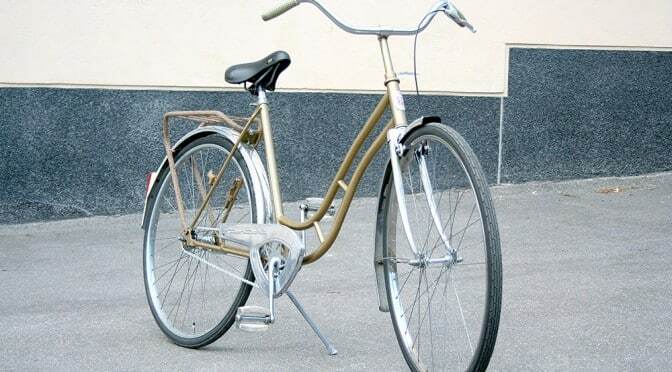 Old retro ‘granny’ bike restored with a chrome and gold. I came up with a design and sprayed it using this recycled bike frame, good as new finished with some 2 component lacquer. Red Paint and 2 component on a suspension fork, ready to rock.